Home / Stock Picks / Stocks to Buy / Warren Buffett Is Selling International Business Machines Corp. — Should You? Warren Buffett Is Selling International Business Machines Corp. — Should You? On Wednesday, we found out Warren Buffett of Berkshire Hathaway Inc. (NYSE:BRK.A, NYSE:BRK.B) was a seller of International Business Machines Corp. (NYSE:IBM) last quarter. Coming into the third quarter, Buffett owned some 54 million shares of Big Blue. But IBM stock price fell 1.2% on the news that he cut that position by roughly one-third to 37 million shares. After being the largest shareholder in IBM, Buffett is now just the fourth largest. Should investors do what Buffett has done and sell IBM stock? This IBM news isn’t good. When the world’s most well-known investor can’t sell a stock fast enough, there’s reason to be leery. However, one could make the case that Buffett is not such a stud when it comes to the tech sector. By his own admission, he long avoided tech stocks because he didn’t understand them. The dot-com bust probably didn’t help him feel any better about the sector, either. Regardless, he avoided tech until 2011, where he then plunked down billions on a stake in IBM stock. Really? Of all tech stocks to finally start buying, he chose IBM? That’s mistake no. 1, particularly with a whole host of great and understandable businesses, like Alphabet Inc (NASDAQ:GOOG, NASDAQ:GOOGL) and Apple Inc. (NASDAQ:AAPL), available. So maybe Buffett isn’t the best one to follow when it comes to tech. After all, he bought IBM in 2011 and that was a mistake. Who’s to say selling in 2017 isn’t a mistake too? I am certainly not a raging bull when it comes to IBM. It’s lack of revenue growth — 22 consecutive quarters now — and dinosaur status in tech surely don’t make it compelling. But trading with a laughable price-to-earnings (P/E) ratio of 12 and forward P/E ratio of 10… maybe Big Blue isn’t so ugly after all. 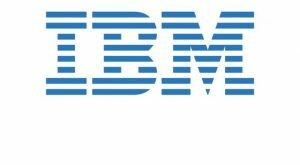 2017 revenue is forecast to fall 1.6% this year, but just 0.1% next year, meaning IBM should halt its streak of quarterly revenue decline sometime in 2018. I could see shares rallying on that sigh of relief alone. Sub-2% earnings growth isn’t attractive for 2017 and 2018, but let’s remember the low valuation. Lastly, IBM pays out a dividend yield of almost 4%. So we’re talking about a high-yield, low valuation stock that might have some upside to boot. Could Blockchain Be That Upside? Earlier this week, Square Inc (NYSE:SQ) announced it’s running a pilot program allowing users to buy and sell bitcoin on its platform. Bitcoin is run on blockchain, a technology that Jack Dorsey, CEO of Square and Twitter Inc (NYSE:TWTR), has called “the next big unlock.” Others in the tech community have endorsed blockchain as well. Some have even called blockchain the “backbone of a new type of internet,” a quote I ran across while breaking down blockchain and its impact on IBM. In a nutshell, it allows for safe, secure transactions and transfers of all different sorts. It’s spreading through the banks like wildfire and will likely continue to do so as more embrace the safer, more efficient technology. I’m not entirely sure what the endgame is with blockchain. But I do know that IBM is a way to invest in the trend. The technology can improve everything from banking to logistics to food supply chains. IBM is working on blockchain solutions in all sorts of industries. Admittedly, like its supercomputer Watson, I question whether the company can take advantage of these news trends before someone else get involved. 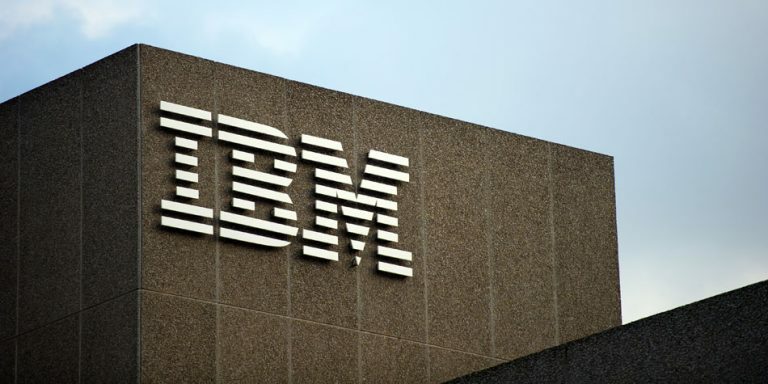 If IBM is able to capitalize on blockchain, though, it could be a big catalyst in the future. So what do we do with IBM stock now? 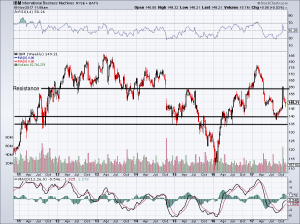 An earnings-inspired jolt temporarily sent IBM stock price to $160, which is now resistance. 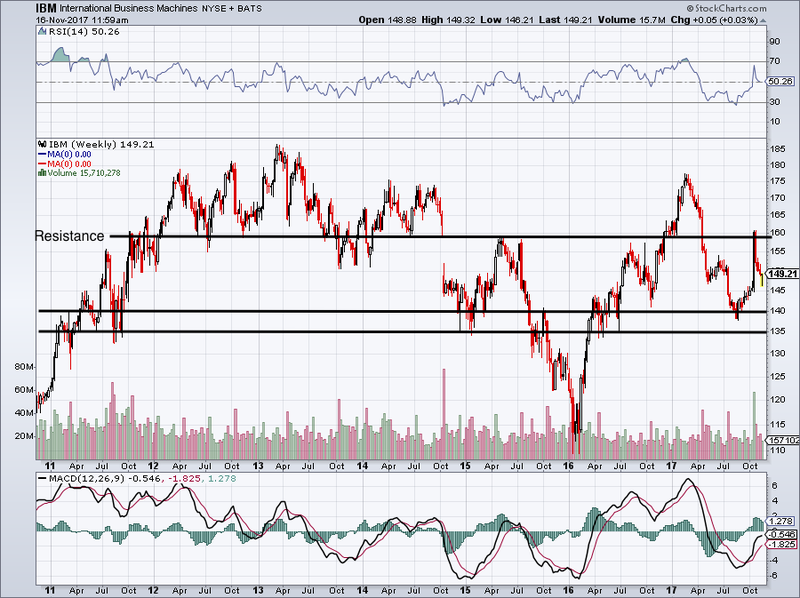 IBM stock is currently pulling back, with good support sitting near $140 and great support near $130. Only once in seven years did the $130 level truly fail. Back below $150 now and $140 looks like it could be a realistic entry. Should we get to $140, IBM stock will yield 4.3%. At $130, it will yield 4.6%. That’s a pretty good payout for an ultra-low valuation, bottoming sales-growth stock. Paying out nearly double what a 10-year Treasury yields, IBM would be a classic buy-and-stash stock at these levels. A close below $130 would serve as an appropriate stop-loss as well. Article printed from InvestorPlace Media, https://investorplace.com/2017/11/warren-buffett-selling-ibm/.